While technology has the power to increase productivity, it can also hinder it. Constant notifications from your phone and computer can interrupt your thought process, cause stress, and take you away from important tasks. If you aren’t expecting anything important, try switching your phone to Do Not Disturb for a period of time, and close off windows on your computer (such as Facebook) that are not necessary for the task at hand. Power through what you need to do, and then reconnect later. What and when you choose to eat each day affects your energy levels, cognitive functions, and how often you’ll get sick. It’s easy to delay meals when you’re on a deadline, or seek out quick fixes in the form of fatty, sweet, and salty foods. However, your body and your business will thank you if you take the time to eat properly (and drink lots of water!). Need inspiration? Strive to be like Agent Lundy from Dexter. He’s a rockstar at his job, and every day he strictly has a packed lunch at 1 o’clock. By working on many tasks at once, people may feel like they’re being super productive. However, you might be completing all of those tasks poorly, and delaying the time it takes to see results. Whenever possible, try to focus on just one or two things at a time, finish them, and then move onto something else. In business and in life, it’s essential that you can give certain tasks and people your undivided attention. You may have heard that sitting is the new smoking, and it’s true that it’s way worse than most people realize. Sitting for most of the day can cause many health problems; such as, body pain, stress, weight gain, depression, and heart disease. And the effects largely can’t be reversed by exercising either. Inactivity also constricts blood circulation, thus reducing overall brain function. But it isn’t all doom and gloom! First, check out this study to see how standing can increase your productivity by up to 10%. Then, invest in a standing desk, or modify your existing desk with something that can prop up your laptop. There are many apps that can also help you keep track of your time spent sitting and standing. Most people need seven or more hours of sleep per night to be at their best during the day. To be truly effective, those hours should also be uninterrupted, and your sleep schedule should be consistent throughout the week. In the back of our minds, many of us know this. And then, we go and prioritize deadlines and work commitments anyways. In fact, Inc. recently surveyed 500 CEOs and found that half of them are sleeping less than six hours a night. Not only is sleep deprivation extremely detrimental to your health (causing stress, irritability, weight gain, and serious illnesses), but it also strips away the skills you need to run your business effectively. Your accuracy, creativity, memory, and cognitive abilities will all suffer if you don’t get the sleep you need. Caffeine can sometimes serve as a band-aid solution, but overuse creates new problems. Instead of burning the midnight oil, use the tips in this article to work smarter and make the most of your work hours. If you have trouble sleeping when you do get the time, try the tips in this article. You owe it to yourself and your business to get a good night’s sleep. 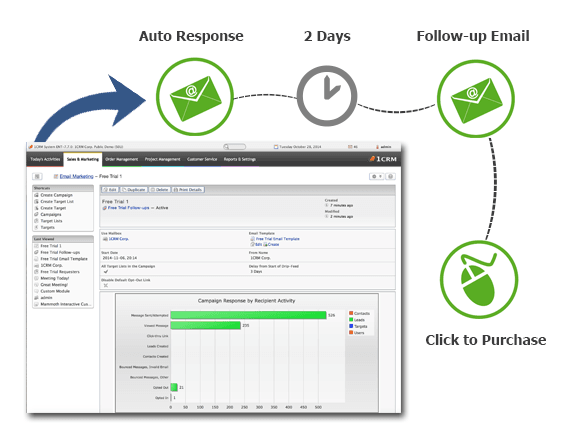 Are you manually sending standard follow-up emails? 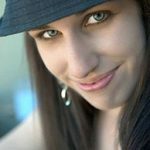 Compiling your website’s email subscriber information by hand? Busting out the calculator to track your sales forecast? There’s a better way. By automating your daily business processes, not only will you increase productivity, but you’ll also decrease errors made by manual entry. Consider all regularly occurring processes in your daily work. Which items could be converted or automated to allow you to get more done in a day? For maximum productivity, your best choice is an all-in-one solution. Otherwise, you’ll end up using multiple apps for different tasks – making it difficult to find and backup your data. Solution? Get a CRM system. It will allow you to automate your business processes and manage your sales all from a single platform. Try 1CRM for free today! It can be tempting to keep working and working until a big job is done, but that might not be the best way to go about it. When you work for hours on end, your brain starts to shut down. Mistakes can be made, problems are more difficult to solve, and you generally work at a slower pace. Taking a break should not be interpreted as being lazy. Many entrepreneurs think of their best ideas and solve problems they’ve been struggling with when they let themselves relax and take a break. For an added boost, eat your snack outside! Nature can be relaxing and inspirational. 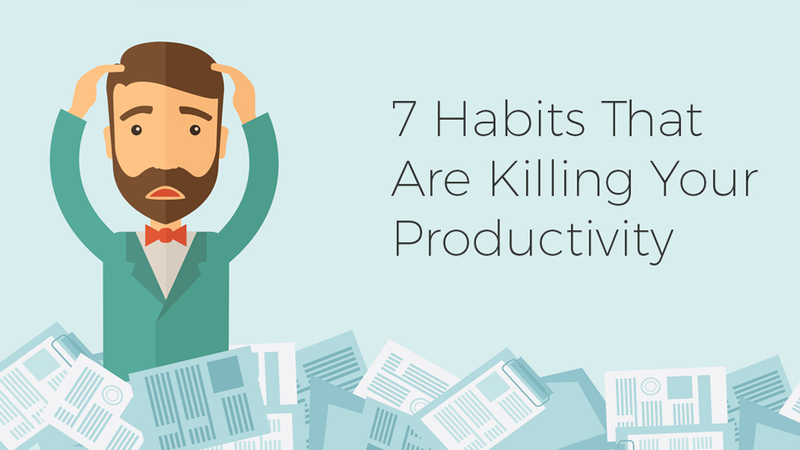 Which of the above habits do you suspect are slowing down your productivity? Leave a comment below.